Welcome to the January 30, 2019 edition of ACM TechNews, providing timely information for IT professionals three times a week. Please Note: A photo of British mathematician Michael Atiyah in Monday's TechNews actually depicted Norman Goodman. We regret the error. Columbia University researchers have developed a system that can produce clear, intelligible synthetic speech through computer processing of human brain activity. 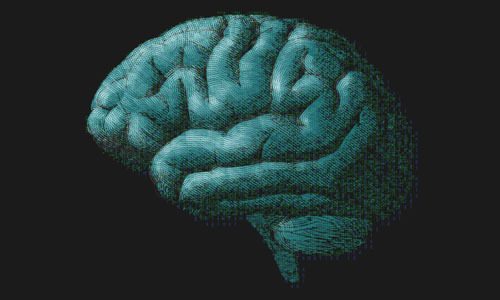 The researchers first analyzed the brain activity of volunteers as they listened to other people's voices, which generated electrical patterns in the brain's acoustic cortex that mirror those from speaking, but are easier to decode. 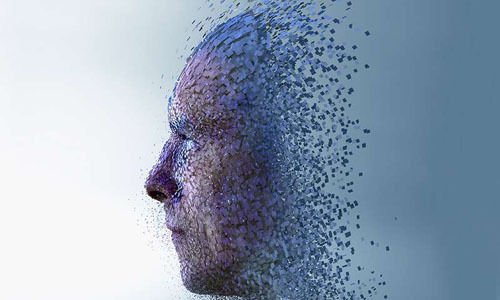 They then used an artificial intelligence program, called a vocoder, to process brain signals from patients listening to a series of numbers and use them to synthesize speech. These sounds were analyzed further and cleaned up with a neural network, resulting in a series of words. Said Columbia's Nima Mesgarani, "If the wearer thinks 'I need a glass of water,' our system could take the brain signals generated by that thought, and turn them into synthesized, verbal speech." 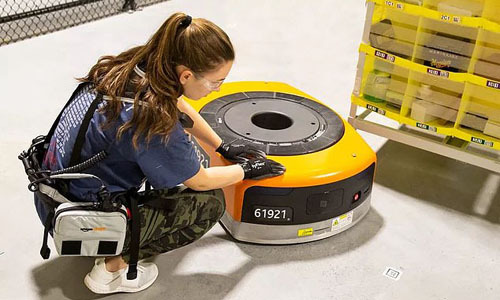 Amazon said it has developed garments that can protect employees from getting struck by roving robots. The "robotic tech vests" notify robots in the vicinity of their location so any potential accidents can be avoided. Workers in more than 25 Amazon fulfillment centers have used the vests over the past year. The vests, designed by Amazon Robotics, are worn like a pair of suspenders attached to a belt; the device has sensors that communicate with nearby robots, alerting them to an employee's location so they do not crash into them. The vests will be especially helpful when employees enter parts of the warehouse that are designated robot zones. Said Amazon's Brad Porter, "What the vest allows the robots to do is detect the human from farther away and smartly update its travel plan to steer clear without the need for the associate to explicitly market out those zones." Facebook this week announced new plans to prevent the spread of misinformation and add transparency to political and issue advertising ahead of elections in the European Union (EU) and elsewhere. The social network said new tools it is releasing will make it easier for users to learn about groups behind political ads. The social media site also promised tougher vetting of advertisers to guarantee they are not foreign entities aiming to manipulate local elections. Facebook said it will start collating information on ads in the EU, India, Ukraine, and Israel within in a library that users can access for up to seven years. It will feature information on the number of people the ads reached, demographics of who viewed the ads, and the ads' budgets. The company also is establishing operations centers focused on election integrity in Ireland and Singapore this year, to combat misinformation circulated during elections worldwide. The Illinois Supreme Court has ruled that companies that inappropriately collect people's data can be sued for damages, even without evidence of tangible harm. The ruling stemmed from a lawsuit against the Six Flags theme park, which recorded the thumbprint of a 14-year-old without notice or written permission from him or his parents when issuing him a season pass in 2014. Illinois' law concerning biometric data privacy is the strictest in the U.S., mandating that companies explicitly notify a person about what biometric data they will record, and how it will be stored and used. Companies also must secure prior consent from that individual. The American Civil Liberties Union's Neema Singh Guliani said the decision should establish a template for a federal privacy statute to "ensure that any privacy legislation include a similar private right of action." Iran is moving toward a workaround to U.S. sanctions by launching a state-backed cryptocurrency, with an announcement expected by the end of January. Details of the cryptocurrency were revealed last summer, after the Trump administration reimposed sanctions barring certain Iranian banks from SWIFT, the Belgian-based global messaging system that facilitates cross-border payments. Iran's cryptocurrency is expected to be launched in phases, initially as a trial-backed digital token in order to facilitate payments between Iranian banks and other Iranian institutions active in the crypto space. 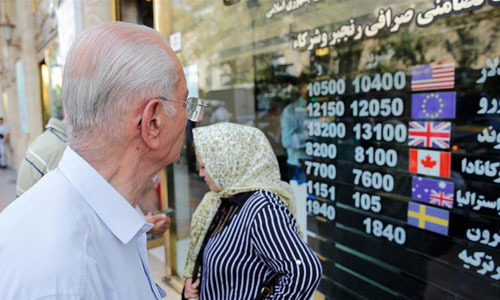 Later, the cryptocurrency could possibly be rolled out as an instrument for the Iranian public to pay for local goods and services. The currency also could lay the groundwork for Iran to join a blockchain-based international payments system that could serve as an alternative to SWIFT. Researchers at Heriot-Watt University (HWU) in Edinburgh, Scotland, U.K., have developed a smart sensing technology that could help spread grit and salt on roads more efficiently. The technology, spun out into a startup called MicroSense Technologies, is about the size of a mobile phone and uses advanced data analysis and radar sensing to detect how much de-icer salt is already on the road. The technology uses radar and a small microwave transmitter that can be pointed at the road and attached to a smaller black box, which calculates a ratio between the output signal and the return signal. This ratio tells the system how much salt needs to be spread, as well as how icy the road is, whether it needs to be gritted, and what kind of grit (sand) and salt is already there. The sensor can be fitted to a remotely controlled vehicle or to an aerial drone. Said David Flynn, director of the Smart Systems Group at HWU: "We've been training this sensor, in a sense giving it a library or you could consider it a memory, of what all these different signatures look like." Bangkok, Thailand-based GetLinks, a website that pairs technology professionals with companies looking to augment their tech teams, is different from other recruiting tools due to its focus on matching specific tech skills with potential roles, rather than seeking to identify people with general programming knowledge. Chinese tech giant Alibaba, Thai conglomerate Siam Cement Group, and Australian employment marketplace SEEK together raised "eight figures" in U.S. dollars, funding GetLinks will use to set up local offices in Indonesia, Malaysia, Shenzhen, and Taiwan. To date, the three-year-old company has placed more than 1,000 candidates in firms like Thailand's Siam Commercial Bank and Indonesian travel startup Traveloka. 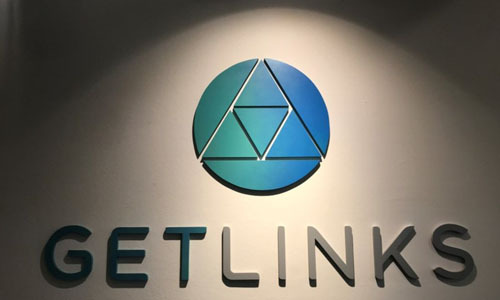 GetLinks co-founder Djoann Fal said the explosion in demand for tech skills in Asia should serve the site well, as “The digitization that we saw in Europe is basically happening now” in Asia. The Linux Foundation's Hyperledger Grid Project will offer software developers tools to create supply-chain-specific apps that run atop distributed ledger technology. The project initially will deliver modular software and smart contract components to businesses to meet challenges like tracking and tracing shipped goods, electronic certifications, and bill of lading exchange. According to the foundation, "This project will accelerate the development of blockchain-based solutions to cross-industry supply chain problems." Grid encompasses libraries, data models, and software development kits to expedite development for supply-chain smart contracts and client interfaces. Grid also will employ other Hyperledger projects like Sawtooth, a modular framework for building, deploying, and running business blockchains. Hyperledger said it will pin much of the domain model work on GS1/Global Trade Item Number standards, "but many other implementations could be contributed and published, including models such as those being created by the Open Data Initiative, or more nuanced industry models like Identification of Medicinal Products (IDMP)." The Pentagon's combat testing office warns that the U.S. military's cybersecurity capabilities are not advancing with sufficient speed to head off a potential "onslaught of multipronged" attacks by adversaries. Despite progress in fending off attacks staged by in-house "Red Teams," the testing office said, "We estimate that the rate of these improvements is not outpacing the growing capabilities of potential adversaries who continue to find new vulnerabilities and techniques to counter fixes." The U.S. Department of Defense's Robert Behler said the military has yet to fully grasp how to counter automation and artificial intelligence. The assessment comes amid other critical appraisals of the military's ability to maintain and improve its cyber-defenses. For example, in October, the Government Accountability Office said the U.S. military had failed to make cybersecurity for its multibillion-dollar weapon systems a major priority until recently, despite repeated warnings. Researchers at Tsinghua University in China have created a generative adversarial network (GAN) on a quantum circuit, using both a quantum generator and discriminator. The researchers trained the generator to replicate quantum data produced by a microwave resonator, ultimately rendering the discriminator incapable of distinguishing true from generated data. Tsinghua's Dong-Ling Deng said quantum computers are theoretically faster than regular systems in solving certain problems, like factoring large numbers; however, Tsinghua's Luyan Sun said quantum computers cannot yet achieve such speed. The researchers think GANs on quantum computers also may have this advantage, but they must definitively demonstrate this capability. At least 50 quantum bits (qubits) are expected to be required to realize "quantum supremacy" for even the simplest problems; the team was using a system with just one qubit. About 70% of senior business leaders are not "highly confident" that they can collect and analyze employee data responsibly, with 49% saying they will use such data as they see fit, according to the results of a survey released by Accenture at the World Economic Forum in Davos, Switzerland. According to Accenture's Ellyn Shook, companies that proceed without concrete policies on employee data use and the input of employee groups will erode trust and revenue potential. The Center for Democracy & Technology's Joseph Jerome said the report "clearly suggests that enterprise needs to drive business efficiencies through the collection and exploitation of data will win out over generalized ethical concerns." Executives also are far more concerned that office data collection by intelligence machines will cause human work to be devalued. In fact, 75% of survey respondents worried workforce data collection would commoditize employees. 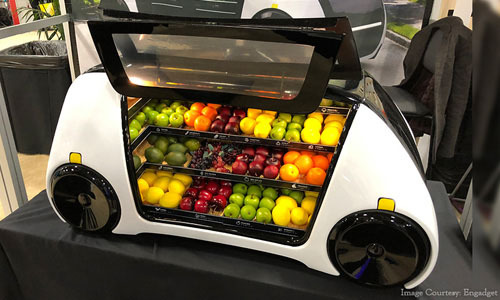 The Robomart startup in Santa Clara, CA, called a "grocery store on wheels" by founder Ali Ahmed, this spring will dispatch robot delivery vehicles throughout Greater Boston neighborhoods via a partnership with the Stop & Shop supermarket chain. Ahmed said he hopes to expand Robomart with other retailers that would lease the vehicles and brand them as their own, establishing self-driving grocery fleets. Robomart vehicles, which can travel up to 25 miles per hour, are summoned by customers through an app; remote operators navigate the vehicles with cameras. Upon arrival, customers can use the app to unlock the vehicle's sliding doors and access their purchases. Ahmed said the vehicles automatically track each removed item via radio-frequency identification tags and computer-vision systems, before charging customers' accounts and emailing them receipts.